Fully conform to the NHS Fire Safety memorandums. Impregnated anti-bacterial agent for infection control. White body with colour coded hands free lid. 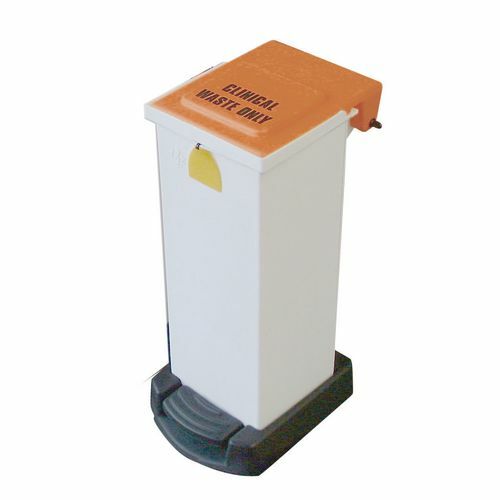 Bins with heat moulded logos - 'Clinical/Domestic Waste Only' are available on request at an extra charge. Please enquire for details.